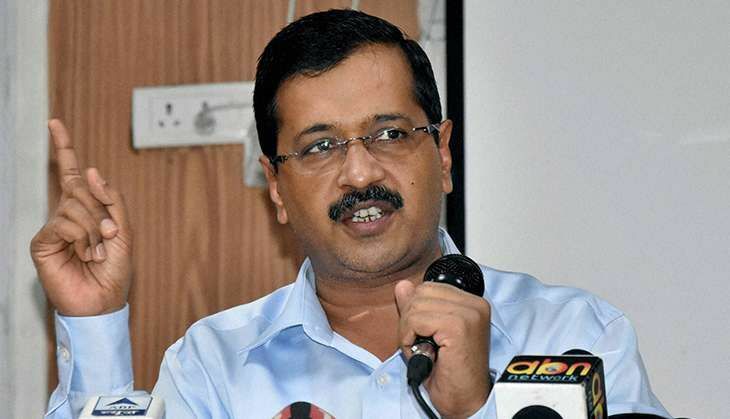 Upping the ante against demonetisation, Delhi Chief Minister Arvind Kejriwal on 21 November urged people to "change" the Prime Minister instead of defunct notes, saying those supporting the exercise were against the country, even as AAP announced a march to Parliament tomorrow. Countering his Mahasrastra counterpart Devendra Fadnavis' contention that opposing the decision was "anti-national", Kejriwal said it was those who were in support of the drive that were against the country and the citizens. Kejriwal also continued to target Prime Minister Narendra Modi over the issue, asking the latter to come clear on his "relations" with a mobile wallet company, claiming its business has seen an "upswing" since demonetisation. "Note nahi, PM Badlo (Change PM, not note)...Fadnavis ji, fire is raging across the country following the decision of the Prime Minister. The person who is standing with the PM on this would be against the country and the citizens," the Chief Minister, who is touring poll-bound Punjab, tweeted. In another tweet, he urged Modi to either "waive off" farmers' loans or deposit Rs 10,000 in each Jan Dhan account using the money deposited by people in banks since November 10, the day banking opened post demonetisation. Kejriwal had earlier set a three-day deadline to the Centre demanding that demonetisation, "a massive scam", be rolled back. He will also address rallies in Varanasi, Meerut and Lucknow next month to corner the government on the issue. The deadline expired yesterday and AAP said tomorrow's march to Parliament was part of its plan to sustain the momentum of its pitched battle against the exercise. Several ministers of the Delhi cabinet, led by Deputy Chief Minister Manish Sisodia, will take part in the march. Alleging that the drive by the Modi government was a "scam", senior AAP leader Ashish Khetan said common people were suffering while the loans of big industrialists were being waived off. "We will be a undertaking Sansad March tomorrow under the leadership of Deputy Chief Minister Manish Sisodia. Demonetisation was aimed at giving BJP the advantage of being the only one with the largest amount of black money in new currency which they can use in the elections," Khetan told a press conference. Apart from party leaders, Delhi ministers will also join the march, which will start from Jantar Mantar around 11.30 AM.